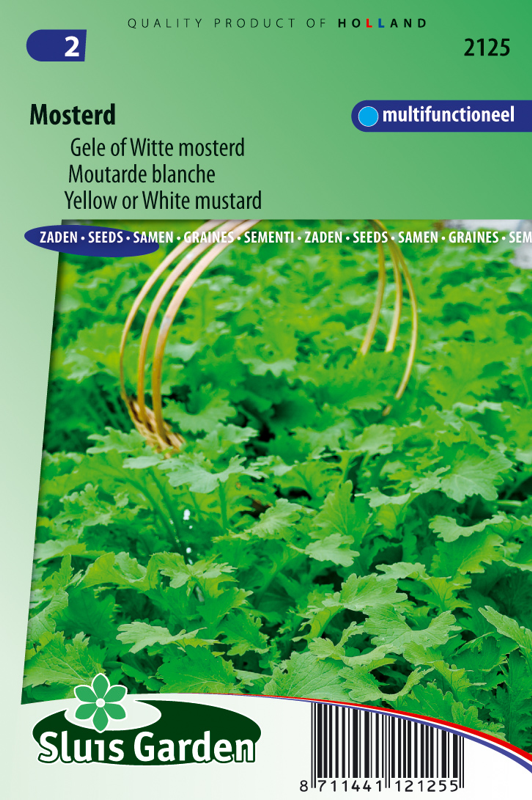 White or Yellow mustard (blooms with yellow flowers) is often used as a green manure crop, but can also be used to harvest mustard seeds or as a sprout vegetable (entire year). Nice on sandwiches or in salads. 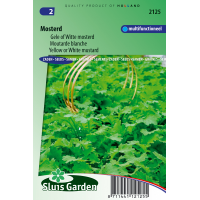 Is part of the crucifer family and as a green manure crop can produce large amounts of organic matter in a short time. Often used on soil that is available late. After flowering mow well and work into the soil. Few soil requirements, although prefers soil that is not too acidic.